The Stingeries: Madi Attends Church! We braved going to church today with Madi... And she did great!! She ate before we left and made it through part of the sermon before waking and needing to eat again. I fed her and she was calm the rest of the service snuggled in my arms. 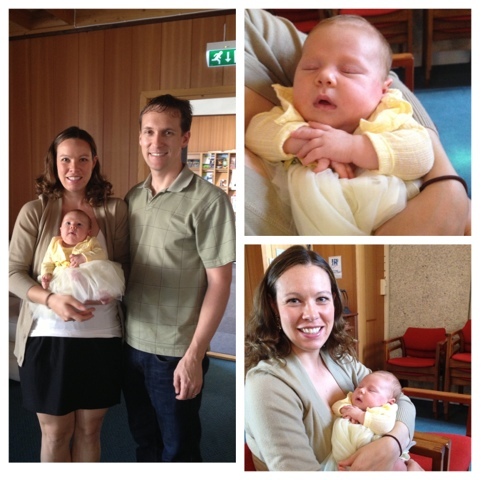 It was wonderful to see our friends in church and worship the Lord for the first time as a family of three! !